Book-themed activities for young readers are an excellent way to play with books and make the reading experience more interactive and fun. As a writer of children’s books and as someone who has worked with books and kids in schools, I find that creative activities end up being fun not only for the children but also for the adults involved. Once you’ve finished reading the book to/with the child, you can use different elements of the story to make the books come alive. One of the most creative ways to do this is using the story to create a version of a simple Start to Finish board game. You can use the different characters, settings, and events throughout the game. The children can play as different characters, create obstacles and shortcuts, come up with rewards and a point-scoring system, and even design a game board and the tokens. In my experience, this activity lets children not only use their imagination but also allows for a more immersive look at their favourite book. All the materials you need will probably be available at home. However, keep in mind that this will require guidance from you especially if you have young children. This could also work as a great party game. Another option is to adapt an existing game and create a book-based version of it. For example, you can use the story to make Pictionary words, Taboo cards, and Scattergories categories. Once the set-up is ready, gather together a bunch of your child’s friends or o play together as a family. This is definitely easier to do than creating a game from scratch and works well for families with working parents. Travel and books make for lovely companions, so you can have the kids make a list of the different locations they encountered throughout the book. Then, ask them to create a map of the world based on the locations they’ve listed. Alternatively, they can map the journey of the protagonists, create a map of the fictional world or create a travel brochure with information about the different places. Not only will your child learn more about the world but they’ll have fun doing it. Pro-tip: If possible, use this information to plan your next vacation. Your children will be more involved in the process of travel planning and excited to see the locations they’ve only read about previously. To bring out your child’s inner Van Gogh, hand out blank postcard-sized cards as well as art material to the kids. You can use a variety of book-based art prompts to illustrate one side of the postcard. For example, a scene they really enjoyed, how they would have liked the book to end, draw a sequel or a prequel, a character they loved, which setting they would like to be transported to, etc. Once the illustration is ready, show the kids how a postcard works, have them write a message to a friend or family member, then take them on a field trip to the post office to mail it. You can also have the kids make a list of various objects found throughout the book and ask them which one(s) they would like to create. Gather together the materials you’ll need to recreate the prop(s) and spend a couple of crafting hours making these book-inspired artefacts. This is a great way for you to spend time with your children and gets your child used to the process of creating objects from simple materials. Pro-tip: Once he or she is familiar with the process you can even recreate simple household items for them to get a better understanding of how the home works. If you have a lot of time on your hands or are looking for a different kind of party game, create a treasure hunt based on the plot of a book. Use elements from the story as clues and keep the children interested by ensuring there is a wonderful prize waiting for them at the end. If there are doing this with multiple children, you can also divide them into teams, each of which is supervised by an adult. Pro-tip: Make sure the clues are age-appropriate as children are likely to lose interest if they are very complex. A great way to unleash your child’s imagination is to ask them to come up with a trailer for their favourite book. You can take it one step forward by asking them to produce the trailer – using adult technological help if required – in their preferred media format, such as a poster, video, article, comic strip, audio etc. This is a great way to convert their screen time to something productive. Keep in mind that you will probably need to assist them especially if they decide to produce a video. 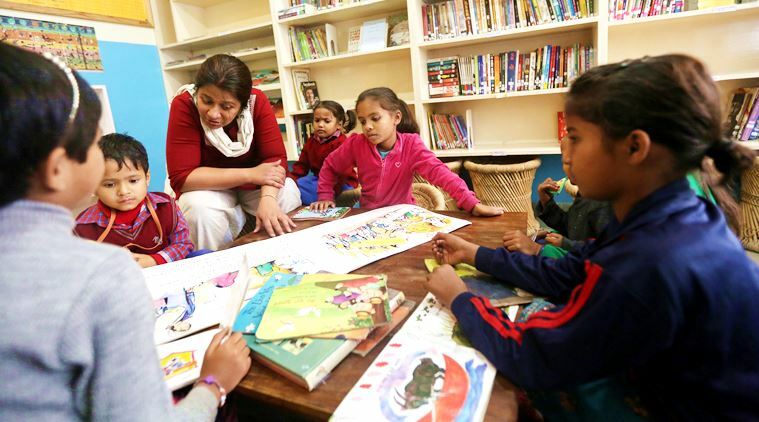 Reading international books exposes children to cuisines that may not necessarily be accessible to them in India. Encourage your child to discover new food and develop their cooking skills by asking them to either pick a dish mentioned in their favourite book, or research food from the country the book is set in. You can look for a recipe online or even create a recipe for that dish and then cook the dish together with your children. This fun activity not only exposes your children to new food but also encourages you to try out new things. These are just some simple but fun ideas for activities you and your children can do together to elevate their reading experience. These activities are specially designed to encourage children to use their imagination and engage with their favourite books. So, go ahead, use these ideas or come up with some activities based on the ideas here. Have you ever done any of these activities with your children? Which ones of these do you like the most? Share your recommendations with us in the comments below. 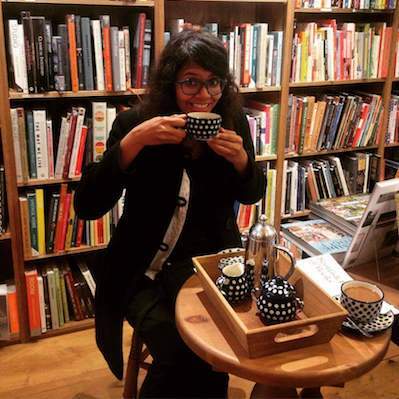 Parinita Shetty likes books, board games, blanket forts, and cake. She dislikes procrastinating but not enough to actually stop doing it. She works with children's books in different ways and has managed to write a few too. She should currently be writing but is probably watching Doctor Who. You can reach her on Instagram. wonderful ideas to improve children’s reading habit. I have not tried any of those but my favorite one is creating a scrapbook of a story. Writing the main characters, listing out the new words, sticking some relevant pictures from newspapers or hand-drawn pics with plenty of crayons and sketch pens. it’s a two in one activity reading and craft together.